“Domain example.tk has been added to the system. 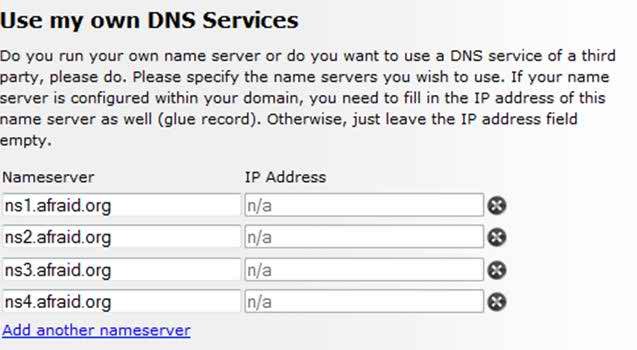 Domain has been marked as BROKEN until the nightly check verifies the domain is properly delegated to afraid.org. If you are new to afraid.org, more details about what BROKEN means is explained in FAQ item #11. Enjoy”.